Today, I’m reviewing the latest camera gimbal from Gudsen, called the Moza AirCross. 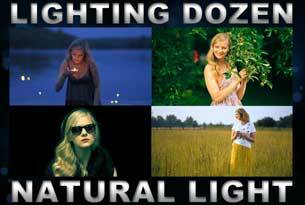 This is a compact and ultra-light camera stabilizer for mirrorless and pocket size cameras. 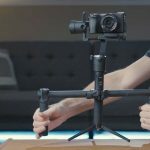 This new gimbal from Gudsen is in a way very similar to the previous Moza Air gimbal, which I already reviewed and compared against other popular gimbals, such as the Zhiyun-Tech Crane v2 and FeiyuTech a2000. In that video I found that they all worked great, but the Moza Air offered the best value and most options. 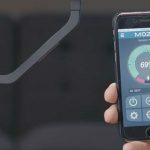 So how does the Moza AirCross compare? 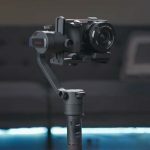 You can pre-order the MOZA AirCross 3-Axis Gimbal Stabilizer on Amazon, eBay or Gudsen website. 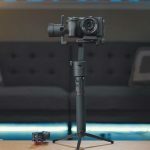 Both Gudsen gimbals are actually amazingly similar in the build, design and functionality. The biggest difference is the size. The AirCross is a bit smaller than the Moza Air (the case is smaller too). That’s because the AirCross is designed for slightly smaller mirrorless cameras with a max payload of 1.8kg / 3.9 lbs. 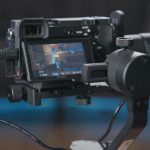 It will work with all the popular mirrorless cameras on the market today, such as the Sony Alpha series, the Panasonic GH4, GH5 or G7, G85; plus the Canon EOS M6 or M5, along with Nikon 1-V3 or Fujifilm X-T2 and X-T20. So if you’re shooting with a DSLR then go and get the Moza Air, but if you prefer mirrorless cameras then the Moza AirCross will be a better fit. 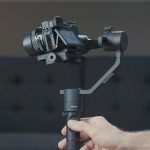 As with all the Gudsen Moza gimbals, the AirCross has been beautifully designed to be both aesthetically nice but also comfortable to use. On the handgrip you will find two buttons. The smaller one is the power button, which you can also use to start and stop your camera – if you use one of the provided camera cables to connect the camera to the gimbal. 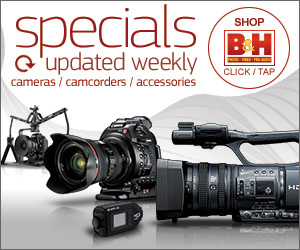 There are actually two cables provided: for Panasonic GH cameras, and for Sony Alpha cameras. There are also two power cables which will allow you to connect the camera to the gimbal and use the gimbal’s battery to charge or power your camera. Getting back to the handgrip. 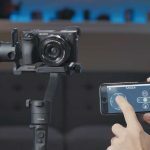 The power button can also be pressed three times to quickly reset the gimbals rotation to its default. 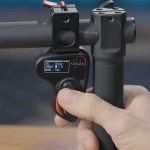 The bigger button is actually a joystick that allows you to control the gimbal’s rotation; plus it can be pressed to change between the different gimbal modes. There are four modes. First is the pan follow mode. The camera will follow as you pan the gimbal left to right. The second mode is the pan and tilt follow mode where the camera follows your left, right, and up and down rotation. The third mode is locked off, meaning the gimbal will stay pointing in the same direction no matter how you move. The last mode is the roll follow mode which is something that I was hoping all gimbal manufacturers would implement. In this mode, you can sway the gimbal from side to side, and the camera will smoothly roll left or right for that cool dutch angle. This gimbal will also work in inverted mode (upside down) in exactly the same four modes: the pan follow, the pan and tilt follow, the locked off mode, and the roll follow. Next to handgrip you will find a ¼ 20 mount for attaching accessories, such as a monitor or microphone. Below that is a 12.6V DC IN connector, thanks to which a 3rd party power bank can be connected to power and charge the gimbal. On the other side is the grip is the micro USB connection for upgrading the gimbals firmware. One accessory I would recommend getting is the dual hanggrip. 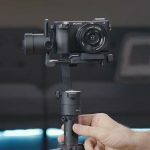 This attaches quickly to the handgrip on the gimbal. It allows you to operate the gimbal with two hands and also to attach accessories such as the Moza Remote. 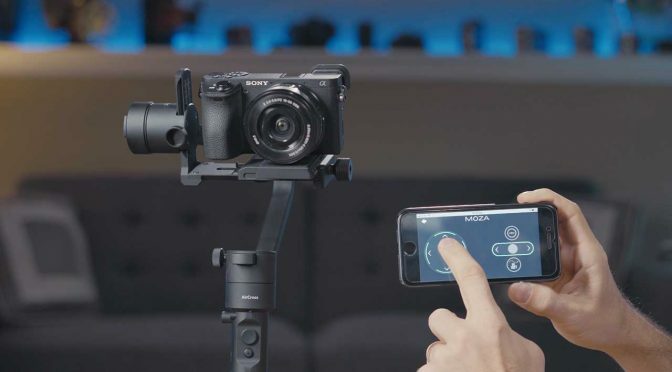 The remote attaches easily using the provided mount, and it allows you to control the gimbal with your thumb, as well as change gimbal settings. It can also be used by a second operator within 50 meters. Another great feature of the remote are the built-in sensors, which allow you to rotate the remote and have the gimbal mimic the motion. 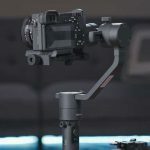 You can pan, tilt and roll while the gimbal will follow you. 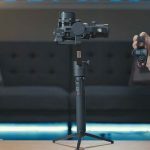 Also, as with all the different modes this gimbal offer,s you can adjust how fast you want the gimbal to follow your every movement. Moza calls this the mimic motion, and it’s very fun to use. The aircross also allows you to shoot timelapses. Things such as the shutter time, duration, intervals and the path can all be defined within the Moza app. 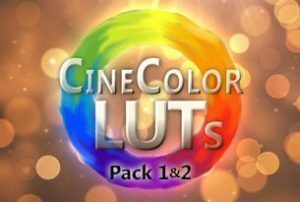 The app works on both iOS and Android. 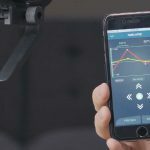 Through the app you can adjust all the gimbal parameters, perform sensor calibration, firmware upgrades, and you can also use the phone as a remote for full pan, tilt and roll control. The baseplate for mounting camera is compatible with any quick release plates ranging from 50.5mm to 55mm, making it compatible with both Manfrotto and Arca Swiss quick release plates. The gimbal is powered by three batteries that are the same as the original Moza Air gimbal. The charger has now been updated to a USB connection, so you can charge using any USB port. The batteries last around twelve hours, so plenty for a full day of use. 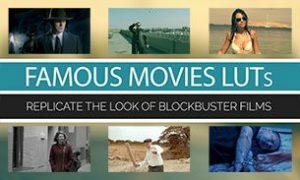 Previous PostWireless Video System – CINEGEARS Ghost Eye 600MNext Post“Legend Of The Bar” Short film and tutorials!